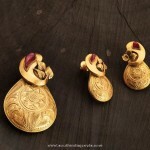 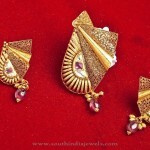 22k gold designer pendant with matching earrings from Sree Harsha Jewellers. 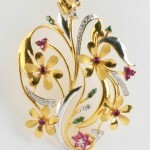 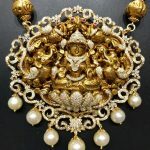 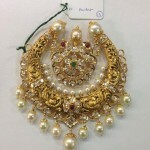 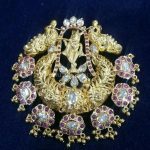 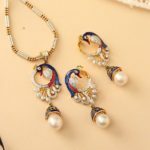 The pendant is embellished with pearls and leaf pattern with enamel work on it. 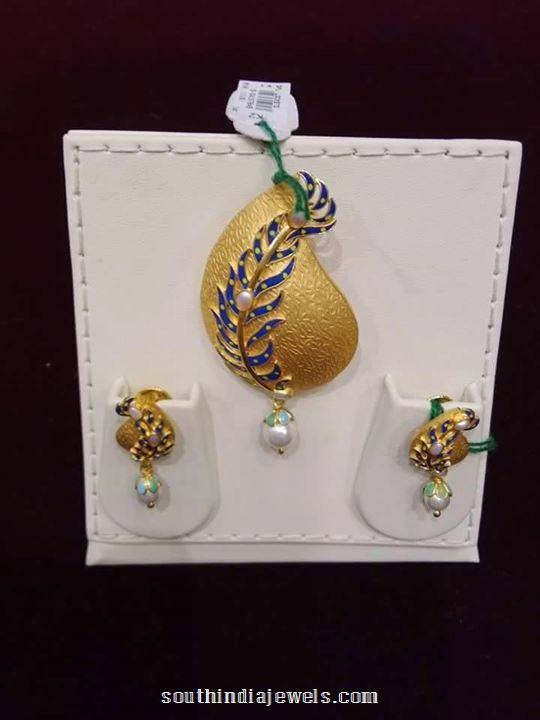 For inquiries please contact 08494221419.